By James Bastien. Bastien Piano. Bastien Piano Library. Level: Level 4. Music Book. Published by Neil A. Kjos Music Company. By Jane Smisor Bastien. For Piano. Bastien Piano. 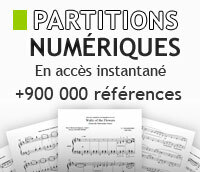 Bastien Piano Basics. Sight Reading. Level: Level 2. Music Book. Published by Neil A. Kjos Music Company. By James Bastien. Bastien Piano. Bastien Piano Library. Level: Level 1. Music Book. Published by Neil A. Kjos Music Company. By James Bastien. Bastien Piano. Bastien Piano Library. Level: Level 2. Music Book. Published by Neil A. Kjos Music Company. By James Bastien. Bastien Piano. Bastien Piano Library. Level: Level 3. Music Book. Published by Neil A. Kjos Music Company. By Jane Smisor Bastien. Bastien Piano. Bastien Piano Basics. Level: Level 3. Music Book. Published by Neil A. Kjos Music Company. By Jane Smisor Bastien. Bastien Piano. Bastien Piano Basics. Level: Level 1. Music Book. Published by Neil A. Kjos Music Company. By Jane Smisor Bastien. Bastien Piano. Bastien Piano Basics. Level: Level 4. Music Book. Published by Neil A. Kjos Music Company. Keyboard (Sight Reading Unlimited). Published by Alfred Publishing. A progressive sight reading course including duet parts and a CD of accompaniments. By Hewitt Jones. For cello. Level: Grade Two. Instructional book with accompaniment CD. Published by C.F. Peters. 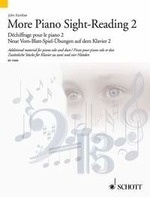 A progressive sight reading course including duet parts and a CD of accompaniments. By Hewitt Jones. For cello. Instructional book with accompaniment CD. Published by C.F. Peters. 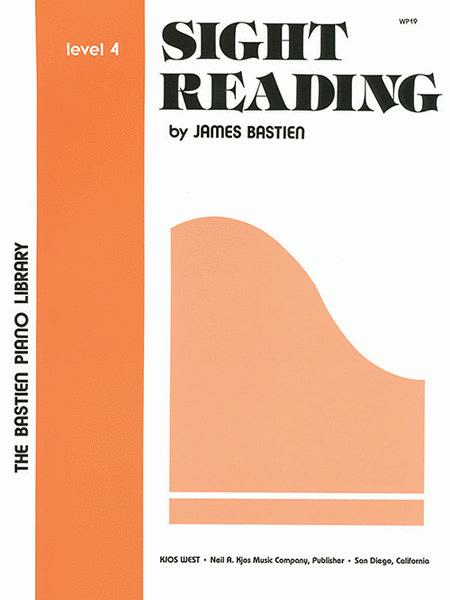 Keyboard (Sight-Reading Books). Published by Alfred Publishing.